The character actress ZaSu Pitts was born in Parsons, Kansas on January 3rd, 1894. 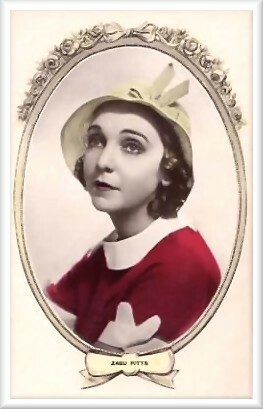 Her first name ZaSu was derived from a combination of names of two of her aunts on her father's side, Eliza and Susan. ZaSu received her education in Santa Cruz, California. She worked for many studios, including Universal, Metro, and Famous Players-Lasky, appearing in many of their features and comedies. Some films of note for ZaSu were 1917's "The Little Princess" and "Rebecca Of Sunnybrook Farm", both opposite Mary Pickford, "A Modern Musketeer" (1917), and "How Could You, Jean?" (1918) for Famous Players, as well as "As The Sun Went Down" (1919), for the Metro Company. She also appeared in popular films for Robertson-Cole, including "The Other Half" and "Poor Relations" (both 1919). 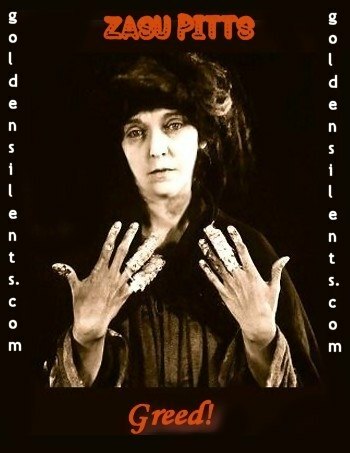 ZaSu's most famous silent role however remains her portrayal of Trina Sieppe, the greedy wife in the Erich von Stroheim classic silent "Greed" (1924). Her performance was haunting and spellbinding. ZaSu also filmed the part of the mother in the anti-war film classic "All Quiet On The Western Front" (1930), but after audiences laughed in preview at the sight of her on screen, the film was revamped, and her scenes played by Beryl Mercer instead. 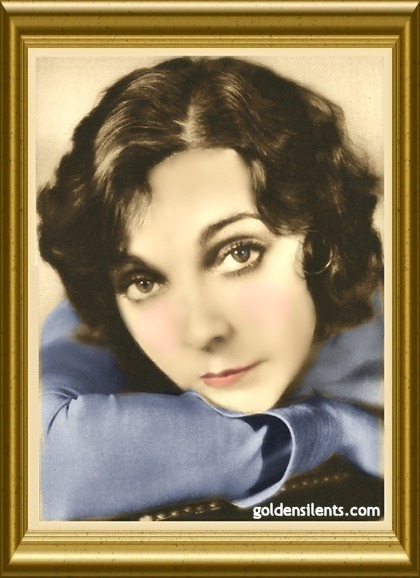 From that time on ZaSu was cast in mostly comedic roles for the remainder of her film career. In real life she looked physically similar to actress Lillian Gish, but her personality was much quirkier. Vintage Bio from "Who's Who On The Screen" (1920): "ZaSu Pitts, known as "the girl with the ginger snap name" was born in Parsons, Kansas, and received her education in Santa Cruz, California. She embarked upon a screen career with Universal, appearing in many of their comedies. ZaSu Pitts, as befits her splendid work on the silver sheet, is now being starred by Robertson-Cole and the reception her pictures "The Other Half" and "Poor Relations" have received prove her popularity. She is fond of tennis and motoring, is five feet six inches high, weighs a hundred and fifteen pounds, and has blue eyes and brown hair."